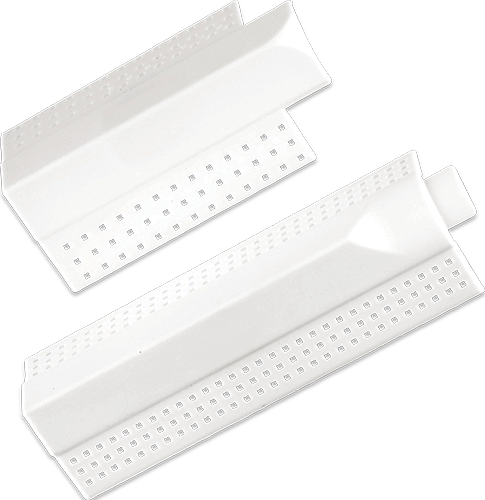 Phillips gripSTIK® 3/4″ 3-way splay corner transition cap is designed to easily finish where two 90° outside 3/4″ bullnose corners intersect with one outside bullnose splay corner. This product eliminates the need for mitering and corner filling, saving time and reducing waste.Alignment tabs make it easy to match with Phillips metal, vinyl or paper faced metal bullnose corner beads. Perforated to enhance mud adhesion.